It’s never too late to forge new relationships. Here’s how—and why it’s even more important than you think. Getting older has its perks (hello, travel and leisure time), but it can also bring some tough times. Leaving a career, moving out of a home, and losing a spouse or friend can take a major toll on our well-being. Many older adults end up living alone again for the first time since their 20s—or maybe ever. If any of this sounds familiar, you’re in good company. A 2012 study found that 43 percent of American adults over 60 experience loneliness. And you don’t technically have to be alone to feel lonely. Nearly 63 percent of those who reported feeling lonely were married. It’s important to know that everyone feels lonely at times, no matter your age, says Mario Garrett, Ph.D., a professor of gerontology at San Diego State University. But feeling lonely when you’re older, especially if you’re going through major changes, isn’t always a bad thing. In fact, it’s a healthy response to a loss of a relationship, Garrett says. “There’s something wrong if you don’t feel that way.” Even though you can never fully replace a lost loved one and the timetable is different for everyone, these intense feelings of loneliness should start to decrease after three or so months, Garrett says. 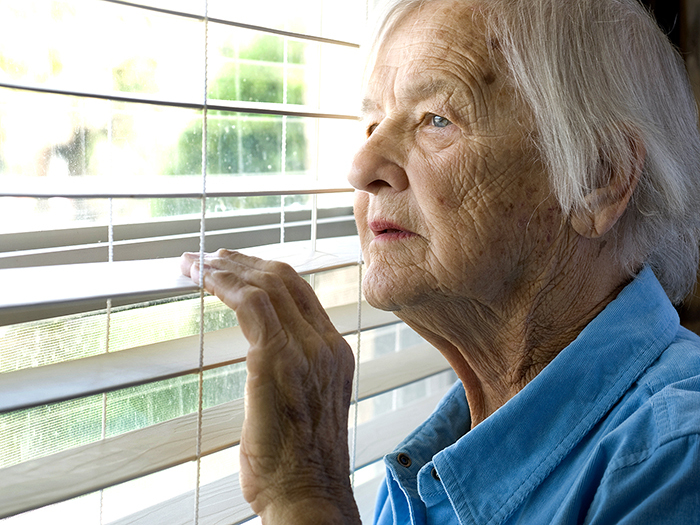 A more serious problem occurs when older adults aren’t just lonely—but also socially isolated. “Isolation is the real issue we need to focus on,” says Joseph Nowinski, Ph.D., a clinical psychologist and author in Connecticut. And it’s different than loneliness. While loneliness is a subjective feeling, isolation is an objective, quantifiable issue that occurs when you’re unable to meaningfully connect with other people. Both can negatively impact your health, but having few social contacts may be worse than feeling alone, according to a study in the Proceedings of the National Academy of Sciences. That’s bad news, given that the AARP Foundation estimates more than 8 million adults age 50 and older are affected by isolation. The main causes include lack of transportation, poor health, a shrinking social network, and limited access to resources like technology. Another factor behind this growing epidemic: We’re living longer these days, and many of us, women especially, are outliving our spouses, Nowinski says. And families are spreading out across the country more than ever before, he adds. So you could still be living in Massachusetts, for example, while your kids and grandkids live on the West Coast, which limits your social support system. 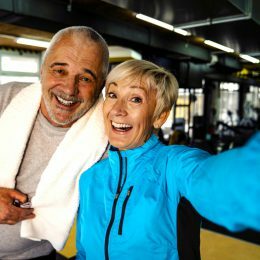 Lacking social connections can have a major impact your health—comparable to smoking 15 cigarettes per day, according to Brigham Young University research. Isolation has also been linked to increased risks of physical conditions like heart disease, mental health issues like depression, and cognitive problems like dementia and Alzheimer’s. What does all this mean for you? Loneliness and isolation shouldn’t be taken lightly—whether you experience it yourself or suspect it in loved ones. Just as you can take steps to improve your fitness, there are things you can do to improve your connections with others. Try these. Small everyday actions, like asking the cashier at the grocery store how their day is going, makes people feel appreciated and awakens you to other people’s involvement in the world. If you’re able, Nowinski suggests checking out local volunteer organizations or a site like VolunteerMatch.org to find opportunities. Visiting with homebound folks, for example, helps them and you, he says. 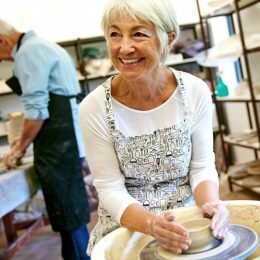 Plus, research shows that when older adults volunteer, they see a big improvement in their mental and physical well-being, and a decrease in feelings of loneliness. Nowinski also recommends looking into adult education programs in your area. Most community and cultural centers offer plenty of courses, from basic computer skills to painting, that will enable you to exercise your brain and meet new friends. SilverSneakers classes are also a great way to connect with like-minded people while getting some exercise. 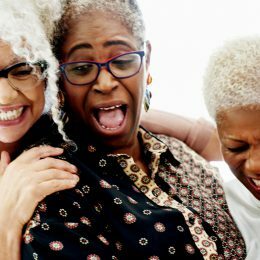 In fact, a study from the Massachusetts Institute of Technology AgeLab found that SilverSneakers members are 20 percent less likely to experience isolation and 25 less likely to experience loneliness than non-members. Start by thinking about which classes and activities you might enjoy. Nervous about initiating conversation? These icebreakers can help. Thanks to the internet, it’s easier than ever to virtually connect with family and old friends—and even make new ones. You can send emails, share photos, and chat with people all around the country, including fellow SilverSneakers fans. There are also websites, like Meetup.com, where you can find local events with people who are also interested in crafts, film, outdoor adventures, or other activities. Try to balance your digital communication with a face-to-face interaction at least once or twice per week. Closeness of relationships is more important for health and well-being than the number of friends you have—and it’s harder to build a meaningful bond behind your phone or computer screen. Finally, if you’re concerned about loneliness or social isolation, talk to your primary care physician about your feelings. He or she may be able to connect you with the support you need. Previous Post2017 Swanson Award Nominations Are Open! Next PostIs Swimming the World’s Best Exercise?